read. watch. listen. : A Librarian has the Best Summer Ever with the FCPL Summer Challenge: One more thing. A Librarian has the Best Summer Ever with the FCPL Summer Challenge: One more thing. Because I was scarring myself and I needed it to be over. . . It took me all summer, but I finally finished! 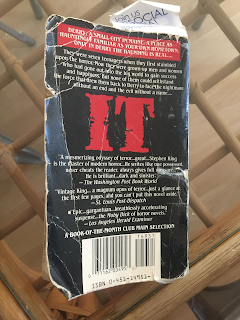 Here is my review of IT by Stephen King. Growing up is hard for anyone. Your friendships change, your body changes, your mind changes. The moments between childhood and adulthood can be strange and frightening under the best of circumstances. If you happen to be growing up in Derry, Maine, the circumstances are not good. In a small city in New England, the fears of childhood are not imagined or symbolic, they are real and they are evil. For longer than anyone can remember, strange things have happened in Derry and children disappear never to be seen alive again. For generations, the grownups of Derry have looked the other way as a demonic force controls their lives, but when a group of 11 year olds is brought together by chance and fate an epic battle ensues and destroys the evil IT. . . except that it doesn’t. Decades later, this same group of friends, now adults living with the complicated fallout of their childhood nightmares, is brought back to their hometown to try and save themselves and Derry one final time. In IT, Stephen King creates the perfect monster in the closet. IT has no name and no shape. IT is simply what we fear. 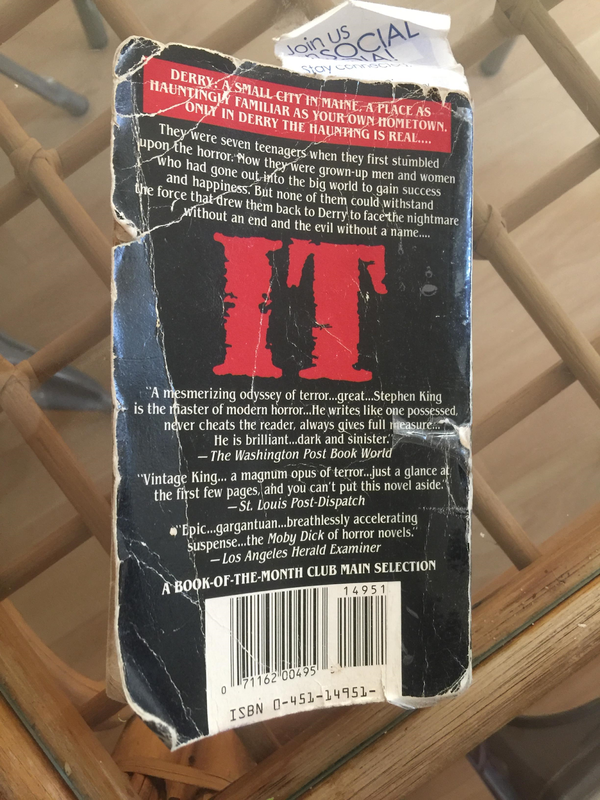 Stephen King created a horror masterpiece around the scars we all carry from childhood. The anxiety and fear of long-buried pain and forgotten trauma create an atmosphere of dread, unlike many other novels I’ve experienced. While I felt that the story could suffer from too many ideas stuffed together, and I'm still struggling with a major plot point toward the end, there is a reason that IT has endured as a modern classic for more than 30 years. If you want to truly scare yourself, I couldn’t recommend it more. This really was the best summer ever. Thanks for coming along for the ride!